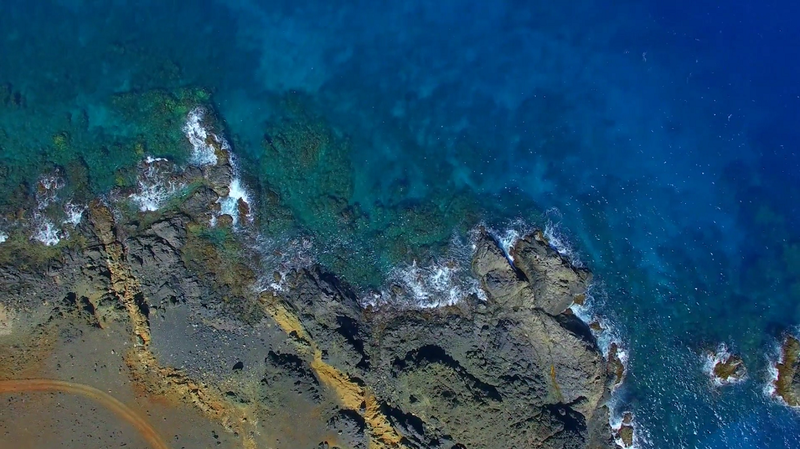 Witness a beautiful impression of Aruba from Above. 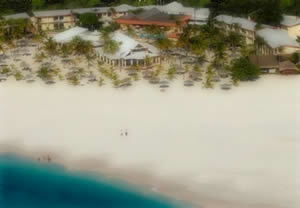 If you want to experience a proper Caribbean Vacation then you absolutely need to look into the Manchebo Beach Resort. Located on Eagle Beach, this beautiful resort is the perfect place to head for romantic getaways, family vacations or simply for a treat to you. There are 72 rooms spread out over 2 floors in the Manchebo Beach Resort. This makes it one of the smallest in the area. You really do get to feel the tranquillity. There are four different room types for you to select from, but all of them are incredibly luxurious and a joy to stay in. All include a 32” TV, Wi-Fi, Telephone, Air Conditioning, a Daily Maid service and much more. The beach at the Manchebo Beach Resort is absolutely gorgeous. Here you can spend your time under one of the 40 Cabanas, relaxing and taking in the beautiful views of the glistening water which stretches out for miles. Manchebo has dedicated staff on the beach to help you out. This includes a cocktail waitress who will deliver your ice cold drinks to you as you relax! Talk about luxury right? 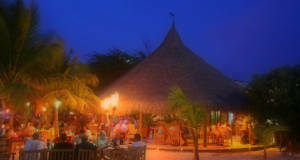 If you are opting for the all-inclusive package at the Manchebo Beach Resort then you will be pleased to know that you have access to three different restaurants. All of these serving up a slightly different type of food. For example, you can taste some gorgeous French Food at the ‘French Steakhouse’. Sample some Mediterranean & Caribbean Food at ‘Ike’s Bistro’ or go a bit more casual and munch away at the Pega-Pega café on the beach. Those that opt for the all-inclusive package will have all of their drink deliveries on the beach catered for too! If you are looking to relax a bit more then you will be pleased to know that the resort includes a spa….right on the beach. Here you can get lovely massages, do a bit of yoga, a facial, mask or even a complete body wrap. The choice is yours. Whatever you opt for though, you can be sure that you will be leaving the space full revitalized. When you stay at Manchebo you will be just a few minutes away from Oranjestad, which is a gorgeous city, and of course the capital of Aruba. It is packed to the brim with all sorts of shopping and culinary delights. You will love it. You will be able to just walk here. Honestly, there is so much to do at the Manchebo Beach Resort & Spa it is nigh on impossible to include everything in such a short space. If you are looking for a brilliant vacation which really does give you a taste of the Caribbean life then a stay at this resort should be top of your agenda. If you really want to ‘splurge’ then you will be pleased to know that Manchebo Beach Resort & Spa offers a number of different packages for those who have specific goals that they want to achieve when they come to the resort. It is worth checking those out too. If you absolutely love music then you need to head to Aruba during the time of their largest festival. 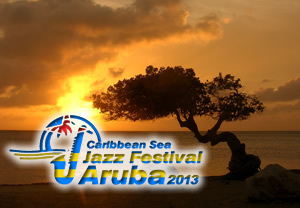 Let me introduce you to the Caribbean Sea Jazz Festival. Held in early October 2013, the festival is currently aiming to be bigger and better than it has ever been, and with the schedule they have already lined up I am inclined to agree with them. The Jazz Festival was only established in 2007, but every year it has gone from strength to strength. It now has people flocking from all over the world to sample the brilliant acts that the festival always has to offer. This year for example you will be able to see a number of popular jazz musicians perform live including El Gran Combo, Willy Garcia and George Benson. These top acts are mixed up with a number of regional and local acts to give you a real broad spectrum when it comes to the music. There are three different stages at the Jazz Festival. They will all be in usage at the same time. This gives you a real choice when it comes to selecting whose beautiful sounds you wish to listen to. Whilst the music is the main draw for people at the Caribbean Sea Jazz Festival, it is not the only reason why people come here. Perhaps one of my favourite things about the festival is the amount of gorgeous food there is to sample. The food court does a pretty good job of collecting top chefs from around the world who will serve you up everything from Caribbean delights all the way through to a bit of Sushi. Trust me, when you visit the Caribbean Sea Jazz Festival you will leave incredibly well fed! In addition to this, an art expo is being planned for the event this year. Here you will be able to see some gorgeous regional and local art work. It really is shaping up to be something pretty amazing. Whilst details are pretty sketchy at the moment, we do know that it is going to provide you with a bit of a break from the music. It also will show to you just how talented the artists are on the island of Aruba. If you absolutely love Jazz Music, or Music in general then do make plans to head to the Caribbean Sea Jazz Festival this year. You will love it, and it will be an experience you will not forget any time soon. This year the festival will be held at the ‘Renaissance Festival Plaza’ on Friday October 4th and Saturday October 5th 2013. Both of these days have different acts on show, and the ticket price covers you for both of these days. If you get your tickets in early you will be able to enjoy the ‘Early Bird Special’ which is only $35 for the 3 days. This is a complete bargain when you realize what you are going to be getting for your money!